Safety light curtains can be used in a variety of different modes such as muting, blanking and floating blanking, depending on the needs of the application. The terms muting and blanking are frequently used incorrectly. 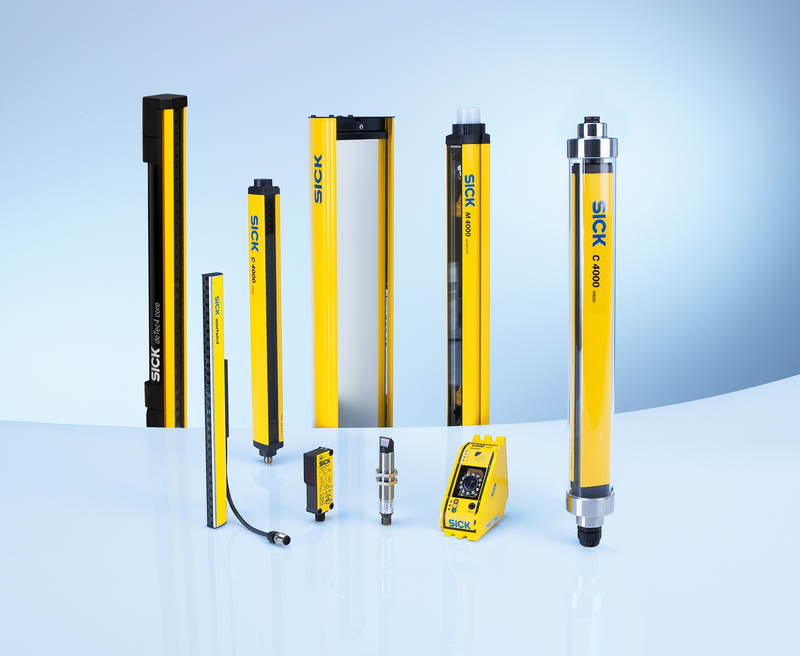 This post will help clarify the difference between the two so the correct safety light curtain functionality is chosen and the machine runs safely. The temporary automatic suspension of a safety function during the non-hazardous portion of the process/machine cycle. It is not to be confused with blanking or bypassing. As an example, muting a light curtain would ignore the light curtain safety function. Muting a light curtain during entry/exit of pallets on a palletizing machine. Muting a light curtain on a hydraulic punch press during the up stroke. 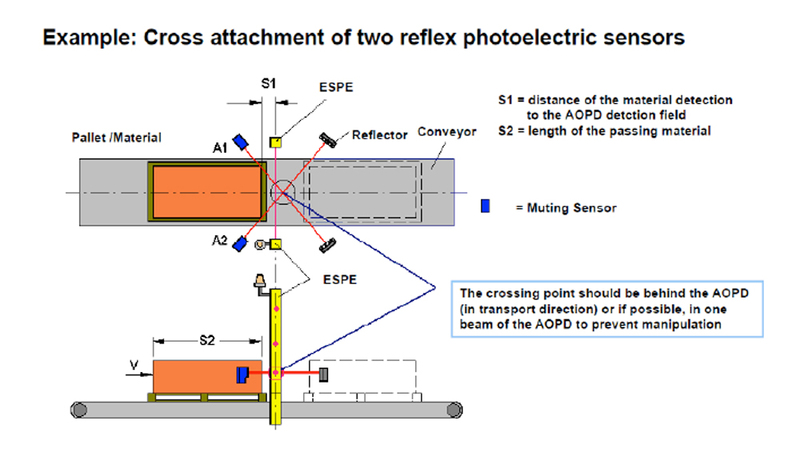 Muting light curtains on load/unload stations of a robot cell during the non-hazardous state. 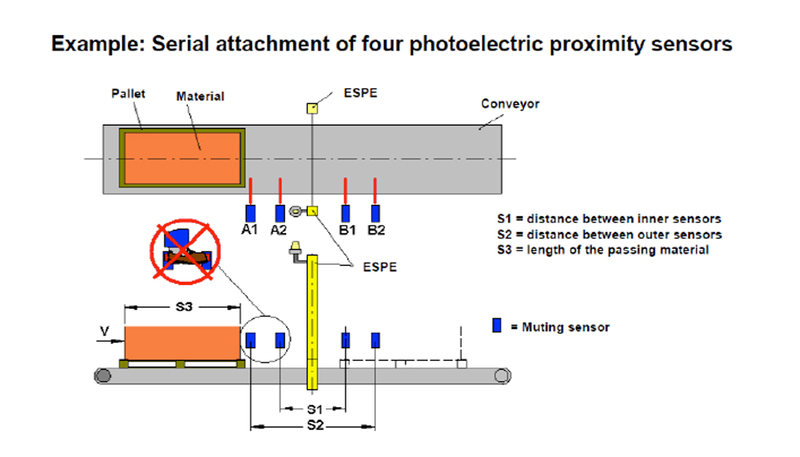 Bypassing a portion of the sensing field of a presence-sensing safeguarding device. 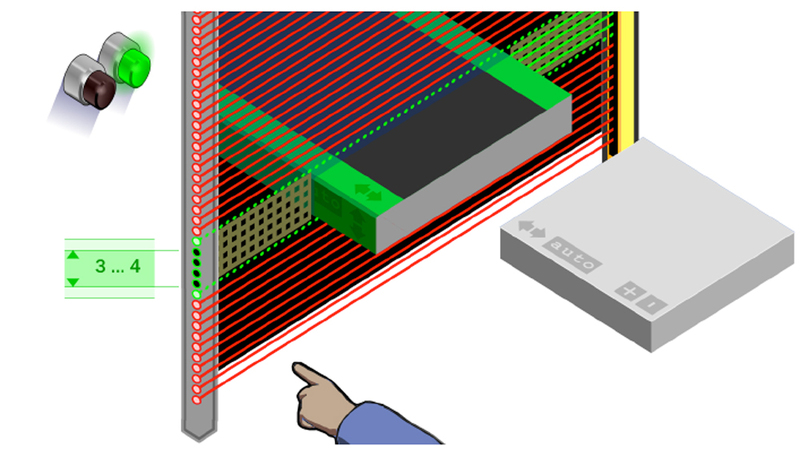 Note that this is a portion of the sensing field, not muting the entire safeguarding device. Blank a small gap in a light curtain to allow feeding of material through it to a punch press while still protecting the operator. The rest of the light curtain remains active. Care must be taken not to create an unsafe gap that a person can reach through. The terms muting and blanking are frequently used incorrectly. Many times a customer will request a light curtain that does muting. It is important to clarify with them if they really want muting or if they want to blank out several beams of a light curtain. With the information from this class you can help them clarify which function they require. Email: safetyhelp@sick.com with questions or for technical support.